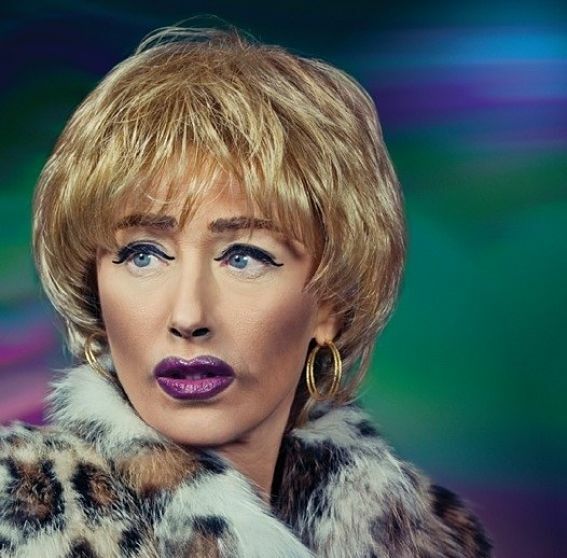 Cindy Sherman, the American artist known for her Untitled Film Stills, 1977–1980 and subsequent self-portraits in which she transforms herself, through hair, makeup, prosthetics and costume, into various female characters from the seductive to the grotesque, is all about disguise. She’s been working this way for decades and is one of America’s best-known artists. In fact, she now holds the record for highest price paid for a photograph at auction when her work Untitled #96 was sold for $3.8 million at Christie’s in May. Now, with an advertising campaign for MAC Cosmetics, she has become relevant to a far broader audience. 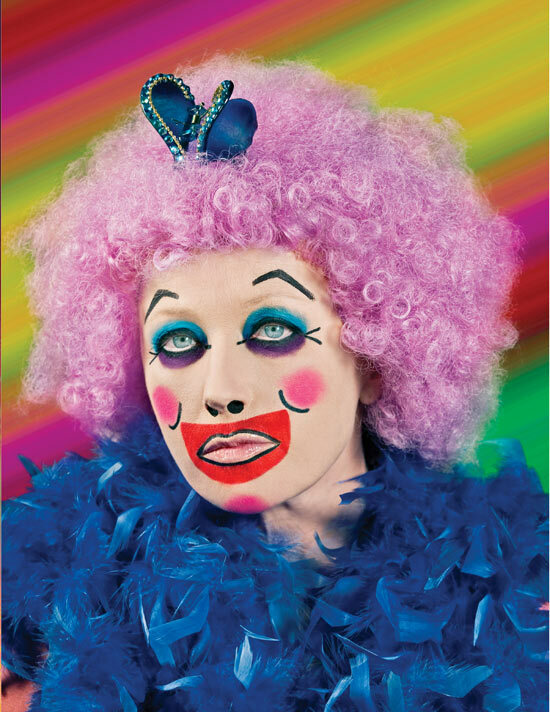 She has created three images of herself made up as a clown, a perky housewife and an unhappy rich woman. The makeup company is said to have longed for this collaboration for some time and it does fit well with a lineup of MAC spokesmodels that have included drag queen RuPaul, country star KD Lang and Elton John. And of course, Lady Gaga. It’s interesting to study the constantly costumed Lady Gaga, who says: “I am focused on the work. I am constantly creating…I live and breathe my work….There’s no stopping. I didn’t create the fame, the fame created me.” Regardless of what you may think of her musical talent, she is much more relevant for the way she creates her extreme personal style. In hindsight, it’s easy to see Cindy Sherman as a harbinger of Gaga, and the proliferation of blogs devoted to personal style and celebrity culture. Back in 2001, when the fashion photographer Steven Miesel was launching himself as an artist (with his first European show at London’s Whitecube Gallery, no less) he did a collaborative advertising campaign with Versace in which models were made up like overly tanned, poised, and made-up mega-rich Los Angeles wives. It was a clever parody. And in 2007, Sherman did the same when she collaborated with the fashion label Balenciaga, re-creating herself as several rather far-fetched versions of older, vacant-looking wealthy ladies – presumably the label’s customers. “Modern design has transformed the whole of social space into an exhibition space for an absent divine visitor in which individuals appear both as artists and as self-produced works of art,” writes Groys. And with the exhibition space expanding via Facebook and Youtube, it’s clear that we are all engaged in some kind of self-design. The digital space has truly allowed people to express themselves in ways they would not or could not physically. Those who understand the power of social media craft their online personas punctiliously, portraying themselves in a light that is favourable for their reputations. This pervasion of the Internet means we are constantly building our digital profiles, whether we like it or not. Therefore, self-design is really just the practice of managing your personal brand no? On the other hand, maybe we all just want to be someone else? Excellent post, so nice to read a blog that puts some meat on the bone! to put Cindy Sherman in the same league with Lady Gaga in any sense would be pathetic, show some respect for the former.